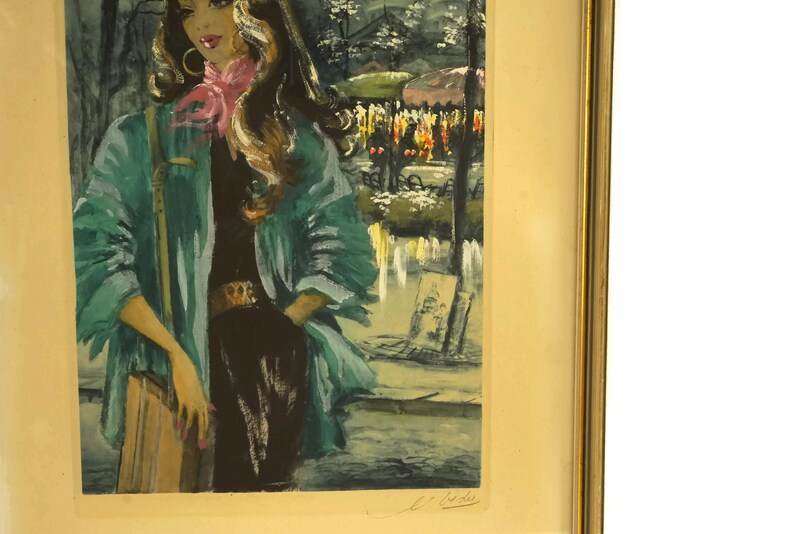 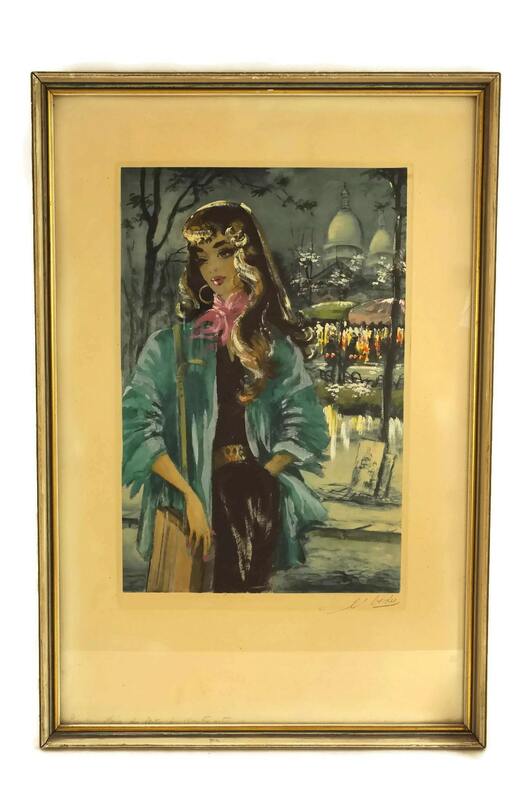 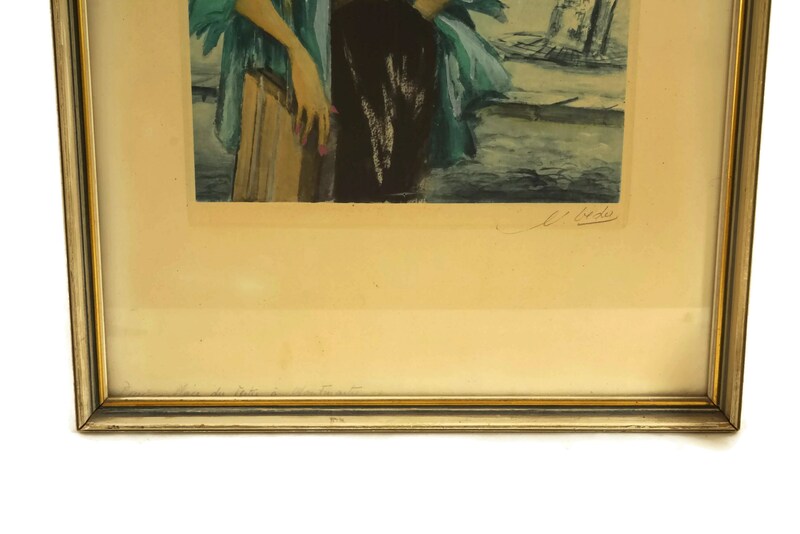 An enchanting vintage woman portrait etching print from the 1950's. 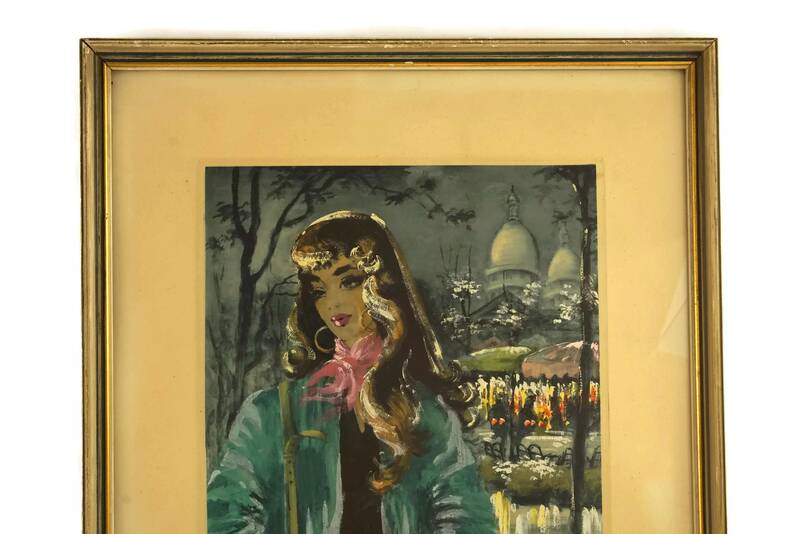 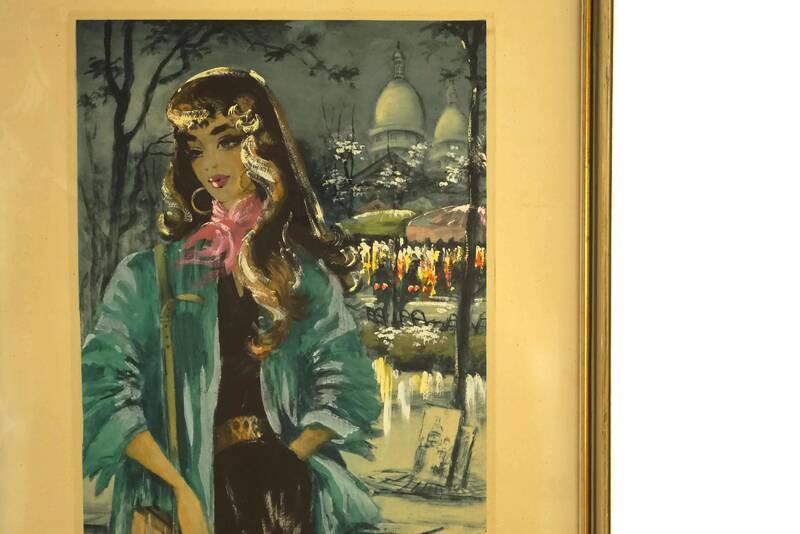 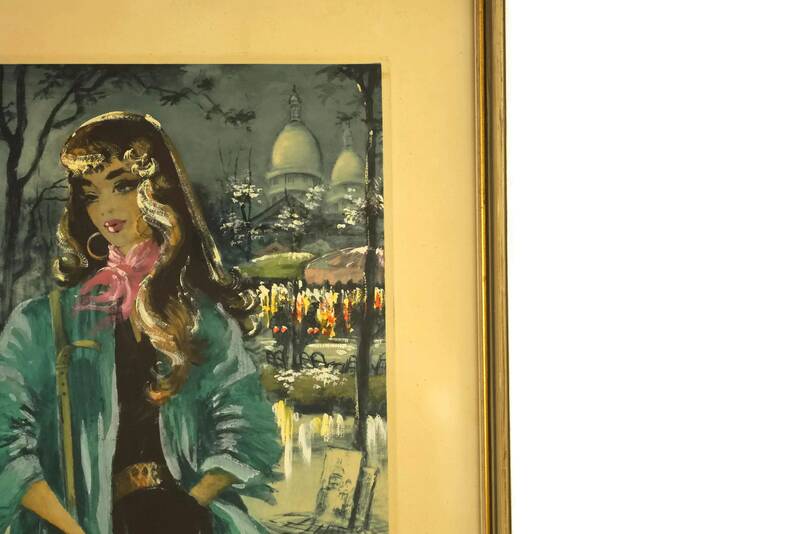 It portrays a beautiful French lady dressed in vintage 50's fashion with Sacre Coeur and Montmartre in the background. 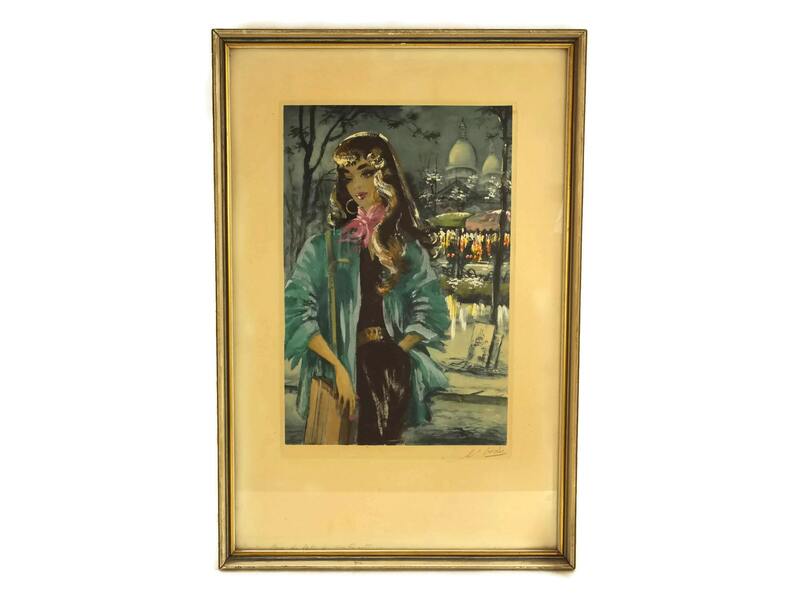 The print features lovely details and has a palette of pastel shades with contrasting teal tones. 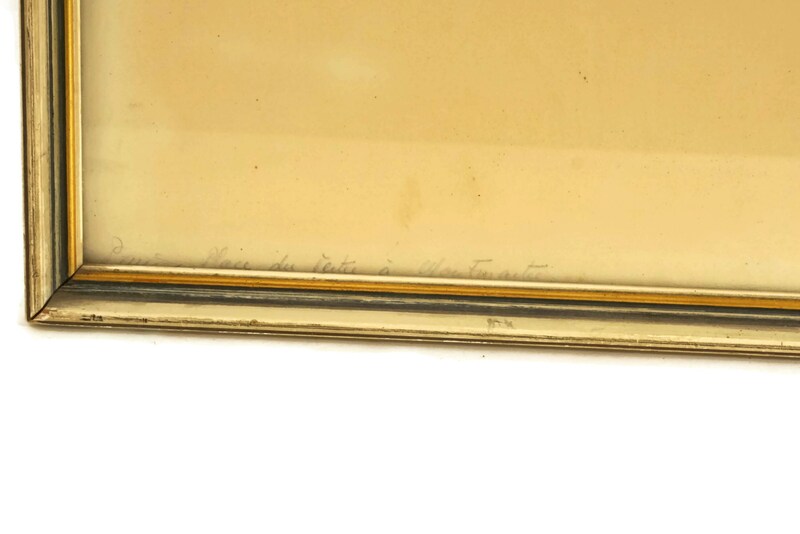 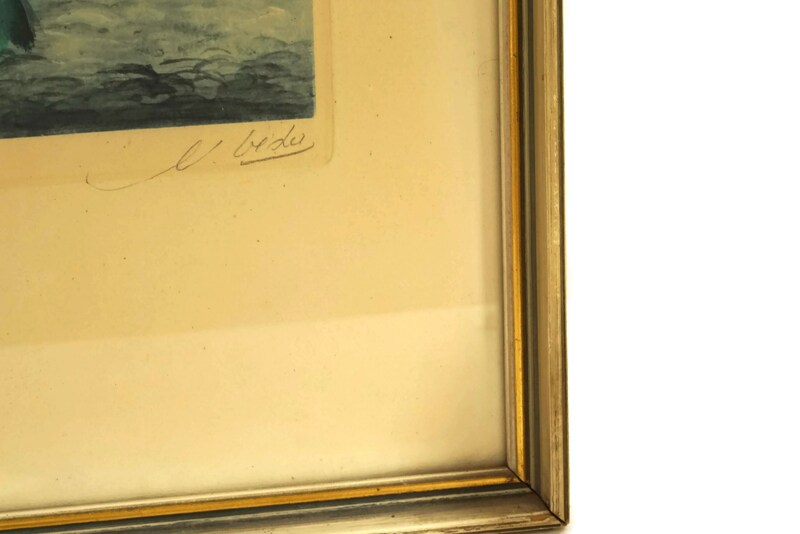 The etching has been signed by the artist and has a handwritten title on the lower left corner "Paris, Place du Tertre, Montmartre". 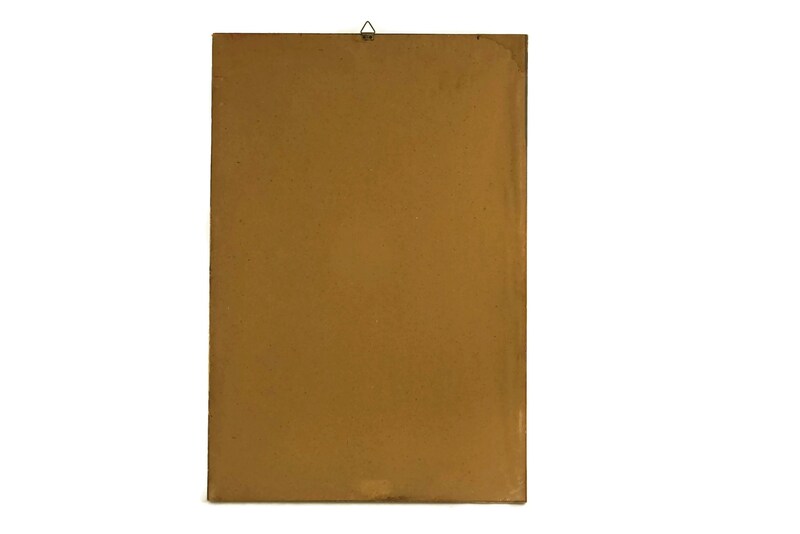 (52 cm x 35,5 cm).